Happy #6 to my little human with a tail. To the one and only Beagle love. The best dog and companion a girl could ask for. You're scared of Canadian Geese. And pretending the little blond being is annoying to you. You two are bosom buddies, even if you're still too cool for her. Feigning disinterest when she hugs and kisses you at bedtime. 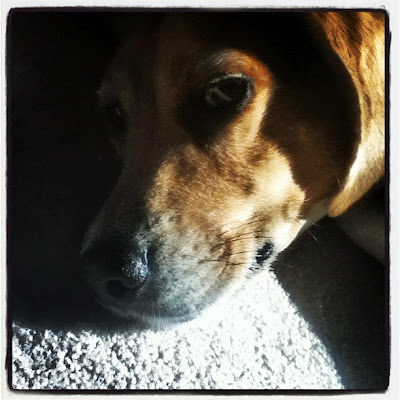 Happy birthday, sweet, furry, predictable, gentle, and fiercely loyal Beagle.